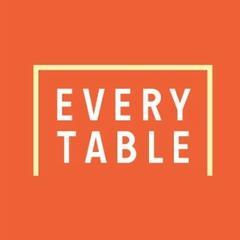 We're Everytable.<br><br><br><br>Through grab-and-go locations, we sell nutritious food, fast, for less than what you’re used to paying. We price our meals affordably, according to the neighborhoods we serve. So, while our prices differ from location to location, our food is always accessible to the local community. We've created a new standard to make healthy food a reality for all.<br><br><br><br>Come join our team!